Free Fall Printables for Preschoolers - Look! We're Learning! Preschoolers love learning about fall and autumn! The leaves are changing colors, the air is getting colder, and you can catch glimpses of all kinds of animals! 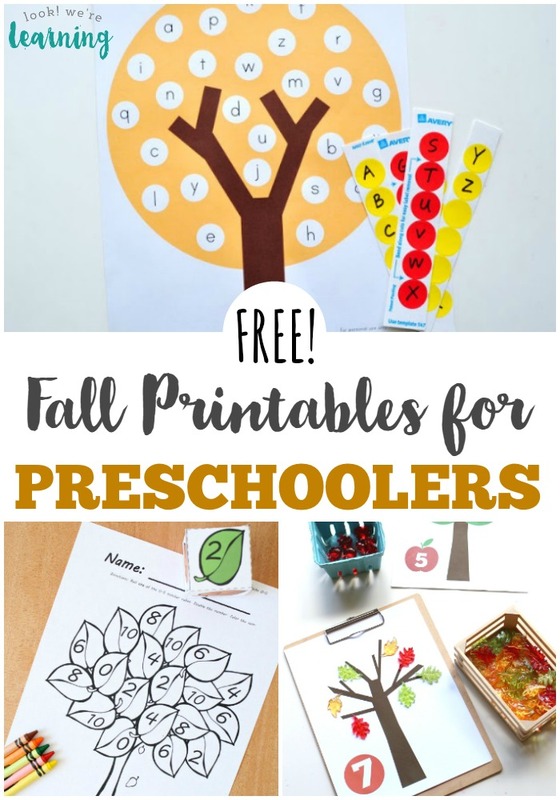 I love sharing fall printables whenever I can, so I thought I’d share a list of fun and free fall printables for preschoolers that you and your PreK learner can work on together! There are printable activities, coloring pages, crafts, and more – all of which are perfect for welcoming autumn! If you love these fall printables, don’t miss my Apple Tree Counting Mat for Preschoolers or our Fall Sight Word Flashcards! 1. Leaf Identification Flashcards – Look! We’re Learning!